I am picky about the candles I buy. I would rather pay a little more and get a good quality candle. I guess you can call me a candle snob. Don’t worry I won’t take offense! I had the opportunity to test out a candle from Lee’s Crossroads Candles and can say that I am thoroughly pleased with the results. 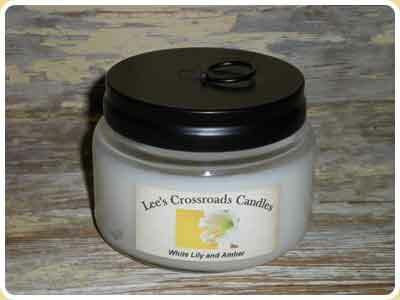 Lee’s Crossroads Candles are handmade in the mountain valleys of Southern Pennsylvania. They pride themselves on their fabulous quality and great prices. The candles are made using a creamy and smooth wax blend using only the finest fragrance oils. The cotton core wicks are designed for maximum scent throw. And the fragrances! Oh my! They are adding 150 new fragrances a month so there are so many to choose from! Lee’s Crossroads Candles sent me a 16 oz. Pumpkin Cheesecake Jar Candle. I could smell the delicious fragrance even before opening up the lid of the candle! It literally smells good enough to eat. I’m serious- this candle WILL make you hungry!! I am big on the food scents and Pumpkin is one of my favourite scents. 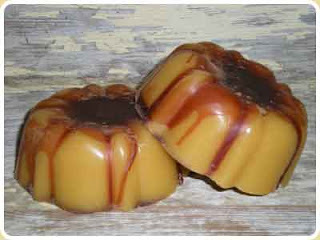 It is described as “the fragrance of sweet pumpkin with a hint of nutmeg combined with a cheesecake crust”. Trust me it is just divine and will fill up your home with a wonderful home-baked fragrance like you had been slaving in the kitchen all day (like that would happen so its a good thing I can fake it with the candle!). It burns cleanly and evenly which says something about the quality and lasts on average 65 to 95 hours. It costs $12.99. I am a little late getting this up but they are having a sale on until March 31 where you receive a 10% discount on the total cost of your order. Use the code cabin feverin the coupon code box at the checkout to receive your discount. In addition, Lee’s Crossroads Candles also has a sale on the Fragrance of the Month Jar Candles. It is Hyacinth for the month of March so if you select this fragrance on any of their jar candles, you receive 20% off. Hyacinth is a great Easter and Springtime scent! 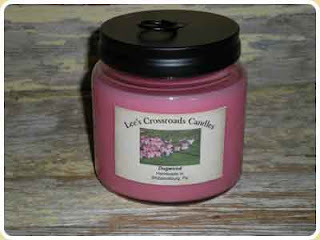 This candle snob definitely approves and recommends Lee’s Crossroads Candles!